• Vitamin C – plenty! • Gluten has been implicated as a cause of Psoriasis (when Gluten is removed from the diet of Psoriasis patients, their condition generally dramatically improves). • Alcohol (ethanol) consumption significantly exacerbates existing cases of Psoriasis (by increasing the absorption of toxins in the Gastrointestinal Tract and by impairing the function of the Liver). • Tobacco smoking increases the risk of developing Psoriasis (especially in women). • Eliminate all fructose sources, also known to worsen this condition. Many people today are struggling with a nasty condition called psoriasis, and while there are conflicting opinions as to what helps or causes this condition, it doesn’t hurt to improve your nutritional status, and try something new if all else has failed. 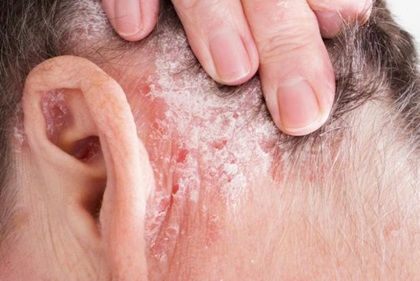 Psoriasis is a skin ailment where the cells of a particular section of the skin on the body (arms, head, face or anywhere else) grow much faster than the other surrounding cells, causing scabs and reddening of the skin. People with psoriasis are often extremely sensitive about this as in some cases it can look a little unsightly. Although it is not contagious, it’s embarrassing and difficult for those who have it on areas which people can see, as it can look worse than it is. Here’s a protocol you may find helpful if you are struggling with this condition. 3. Cut out all inflammatory fats such as sunflower oil, canola oil, soy oil, grapeseed oil, margarines etc. Use only extra-virgin olive oil, coconut oil and real butter. Macadamia oil is also fine. 4. Find out which foods you are intolerant too – this is very important and eliminate them. 5. Use digestive enzymes with your meals, and a probiotic to replace good flora in the digestive tract. 6. Take a good multi-mineral and multi-vitamin, plus consider a B12 sublingual daily tablet or liquid. 7. Avoid wheat and dairy – two foods which are often responsible for the underlying triggers to flare-ups. Stress of course does exacerbate pre-existing conditions, and psoriasis is no exception. Consider eating fresh food, eliminating all ‘fake’ foods and do your best to modify your lifestyle where needed (early nights, plenty of water, little exercise each day) – and you should be pleasantly surprised with the result.